Notifications will give you more information regarding what is happening within your You'reOnTime application. 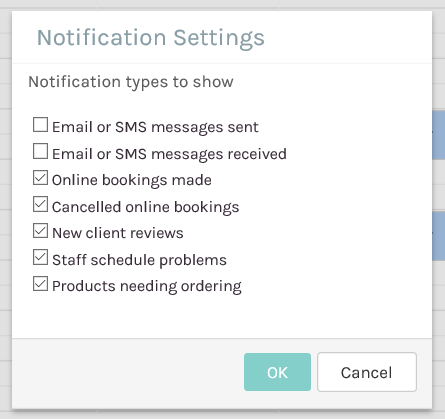 It will notify you when SMS reminders have been sent; when your client has confirmed their appointment via SMS by responding with the unique 3 digit confirmation code; and finally when your client has replied to your SMS reminder with a message. 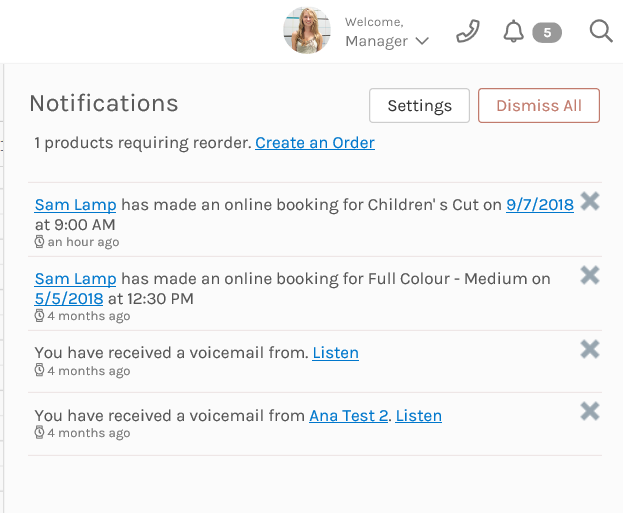 Notifications are useful as if will keep you informed about the results of your SMS reminders and SMS Marketing campaigns; inform you when your Product levels and SMS credits are running low; and remind you of your Client's birthdays. By clicking the notifications button you will see a list of your Notifications. Clicking the x" (close icon) will prompt you whether to dismiss the current notification, you can get rid of all notifications using the Dismiss all notifications link in the top right. On the notification popup you will notice clickable links that will provide you with further information. For example, clicking the clients name will open the client record. Clicking the date will open the appointment details. 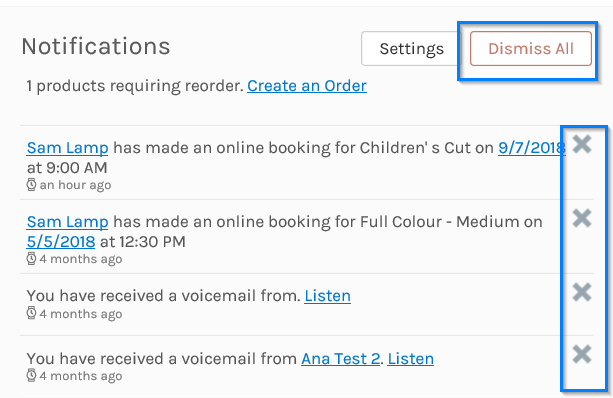 Clicking on Settings will allow you to choose the types of notifications you receive.